Excellent denture services involve convenient care and a commitment to customization, so patients love their new smiles. 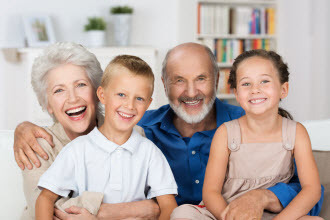 At North Star Family Smiles, our San Antonio denture treatments meet these goals and provide patients with durable and aesthetic teeth they can feel good about. If you do not like your current set of dentures or have failing teeth that need extraction and replacement, contact Dr. El Bjeirami for your appointment. Your new teeth should look as beautiful and natural as possible. When you visit North Star Family Smiles for dentures in San Antonio, you will be provided with prosthetics that are life-like and comfortable. Dr. El Bjeirami and his team are committed to building patient trust and confidence through aesthetic full and partial dentures. Our dentures are made to be metal-free whenever possible, ensuring a seamless restoration. Prosthetic teeth and soft tissue are customized through precise shade matching by an experienced lab technician. Patients who need partial dentures can take advantage of our flexible plastic prosthetics, made to be comfortable and durable, as well as highly cosmetic. With our array of denture options, you can have the full and functional smile you deserve. Failing teeth present challenges to your health by making it difficult to eat and chew food. Loose teeth and those affected by periodontal disease are unappealing and impact your self-esteem. In just one appointment, however, Dr. El Bjeirami can remove damaged teeth and provide you with a beautiful new set of dentures. This immediate denture process is aided by the convenience of our downstairs dental lab. In a matter of just 20 minutes, a temporary prosthetic can be provided based on impressions taken at a preliminary visit. With your try-in denture, Dr. El Bjeirami checks for quality of fit and aesthetic. We walk patients through each step of the treatment process to ensure their satisfaction with their new smiles. Loose Dentures? Contact us for Same-day Denture Repair and Adjustments! 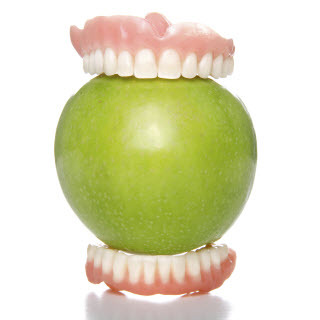 Dentures provide best results when they fit securely and are comfortable to use each day. If your denture has become loose, you may feel less inclined to wear them and enjoy the benefits they offer. Bring our San Antonio denture provider your current set of teeth and he can have them adjusted as soon as possible – even on the same day when needed. We can have a technician from our nearby lab visit with you in-office, so you can tell them exactly what part of the prosthetics has become bothersome. This ensures the accuracy of final results and helps our dentist meet your expectations. If you’re looking for comprehensive denture services in San Antonio, contact Dr. El Bjeirami and his team today for your appointment. We make getting a new set of dentures and adjusting uncomfortable dentures as easy as possible.